Every playoff round has one team that gets turned into a target of memes and jokes. The Brooklyn Nets swept the Miami Heat in the regular season. In the playoffs? Losing twice, looking terrible while both Deron Williams and Kevin Garnett have had 0 points games, which obviously draws Roy Hibbert comparisons. So what’s gone wrong? Something many would have guessed. The Nets have a smart group of players on the court, but old, tired legs and minds. The Heat had a breeze of a first round against the Bobcats. The Nets played seven games against the Raptors, and were never able to win two games in a row. They have a problem putting up big efforts in short time spans, and playing every two days against a team that is just as smart, close to in experience and is in much better shape physically is taking its toll. 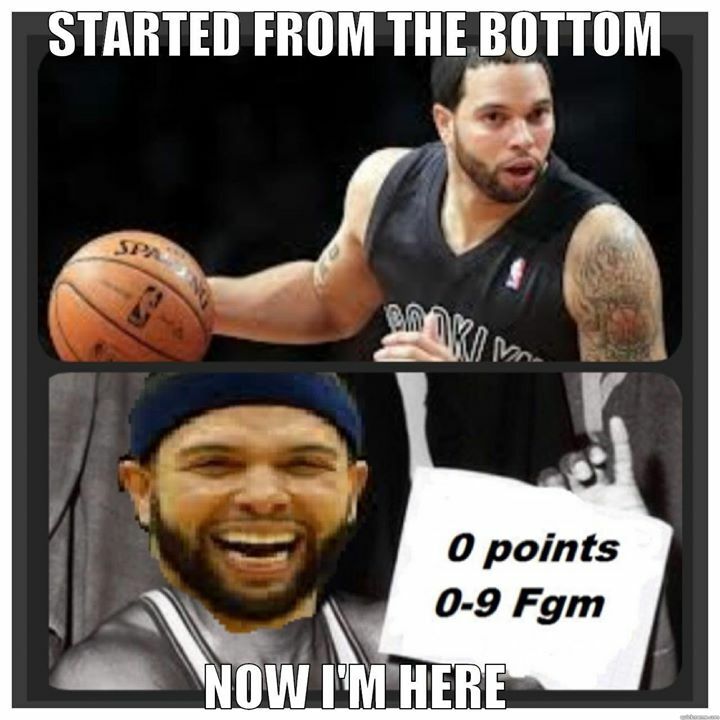 Deron Williams had a good game 1, but awful game 2. It has something to do with the Heat’s defense, as Mario Chalmers is getting plenty of help from everyone around him, including Chris Bosh who is destroying any attempt at a pick and roll by the Nets. Kevin Garnett? Seeing him score a total of four points in the two games just makes us wonder more loudly about how soon should he be calling his retirement press conference. The bench, which has been solid, isn’t enough to make up for five starting players playing subpar basketball, including Shaun Livingston and Joe Johnson. The Nets can still make things difficult for the Heat, but time and chances are running out. The Blazers are down 0-2 as well, but no one expected them to knockout the Spurs, so all the criticism and poison is directed at the Nets.